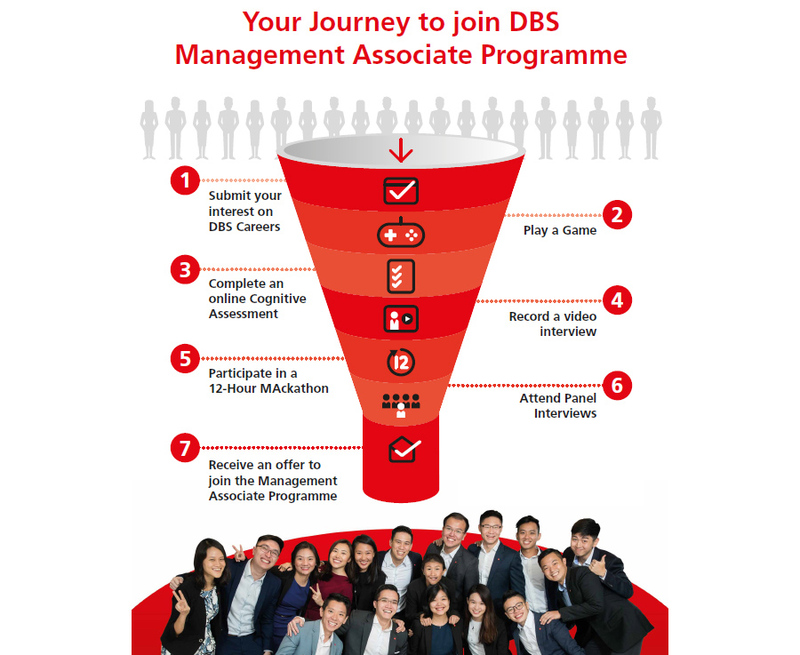 The DBS Management Associate Programme (MAP) is a high-profile leadership development programme aimed at grooming our bank's future leaders. This 24-month programme gives top candidates first-hand experience across the bank's diverse business areas, equipping them with a sound foundation for a successful career in banking. You will be assigned a Programme Manager, who will work with you to design a tailored Individual Development Plan based on your career goals and the bank's business priorities. You will be trained on the job in various roles, receiving a broad-based experience across the bank. You will embark on a rigorous, structured induction programme beginning in August at the bank's Singapore headquarters. You will get to know fellow MAs in the region and engage with the bank's top executives, helping them gain deeper insight into the banking business. Have a Master's degree in any discipline from a reputable university, with no more than 3 years of work experience. Candidates with 2-3 years of work experience will have an advantage. Have experience in leadership roles and a proven track record of handling challenging projects. Are adaptable, creative, decisive and resilient, and have a digital mindset. Application period is from September 2017 to October 2017. Find out more at dbs.com/careers or DBS Wechat Recruitment 星展招聘.